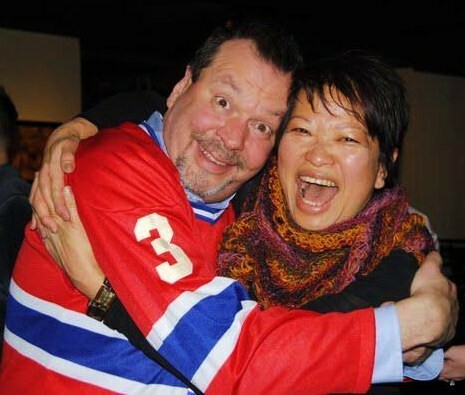 Andy Frank choked back tears as he watched his friend Rosemary Phelan step onto the Hugh’s Room stage last Thursday. He remembered, not too long ago, walking onto that same stage when she couldn’t. 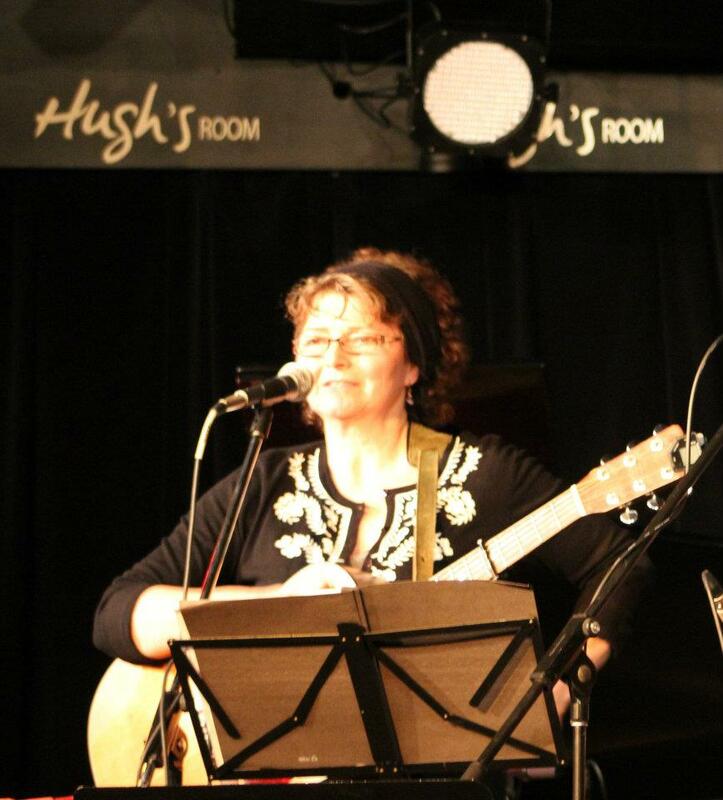 In October 2010, chemotherapy had rendered Phelan too weak to attend her scheduled CD launch, so her friends in the folk music community launched it for her. Frank hosted the event and donated his company’s video production services so that she and her partner could watch a live web stream of the launch-turned-fundraiser from their laptop at home. A year later, once Phelan was well into remission, she asked Frank how she could repay him. Last week she got her chance. Phelan was one of about 25 musicians to play Thursday at Raising the Roof for Andy Frank, a sold out benefit concert attended to support a man well-loved in the folk community, who had recently discovered that he too faced a battle with cancer. More than 200 of Frank’s friends, including many of Canada’s top musicians, packed into Hugh’s Room while 300 others watched by live stream. She explained how she had wanted to return the support he gave her when she was ill. The crowd laughed. Frank chuckled and nodded at her from the middle of the room, where he sat at a table with Helen Crouch, his wife of 27 years. He certainly didn’t ask for a cancer diagnosis, nor did he ask for a tribute in his honour. But he got both. On January 3, Frank, 52, went into a clinic for a routine colonoscopy and came out fearing for his life. Instead of hiding the news, as many do, Frank began writing publicly. His blog: “Cancer? My Arse! !” was true to his nature: funny, heartfelt and frank. His friends responded quickly and powerfully. It was David Newland, Frank’s close friend and colleague, who came up with the idea for the fundraiser when he heard the news. The decision “was just obvious right away,” he said. Frank was a newcomer to the folk community, with less than five years in the folk scene. But as owner of Frankcasting New Media and co-founder of Roots Music Canada, he worked tirelessly to help promote artists by producing videos, live streamed concerts, radio interviews, multi-media blogs and curating it all online. He had created the job for himself so that he could make his living by supporting some of the country’s most talented independent musicians — people who, he believes, have brilliant minds and hearts. Although he didn’t play an instrument, he admired folk musicians. “They’re passionate about something beyond just making ends meet and getting through life,” he said. Frank valued authenticity and grit. And the community valued him. “He’s super altruistic in the way that he approaches life,” said Janine Stoll , who met Frank when he interviewed her as a singer songwriter a few years back. On the Hugh’s Room stage Thursday, Stoll prefaced a song by explaining their relationship. “Faster friends have never been made,” she said. Yet many in that room could say the same. Making friends both quickly and deeply is just what Frank does. But he hadn’t quite realized how many people truly cared about him until they poured in on Thursday. The room was packed with “a constellation of amazing performers,” in Phelan’s words. Including, among them, numerous former-Juno nominees and some of Canada’s top folk musicians: Gregg Lawless, John Sheard, Enoch Kent, Crabtree & Mills, Jay Aymar, Kirsten Jones, Jon Brooks, Shawna Caspi, Suzie Vinnick, Bill Garrett & Curly Boy Stubbs, Janine Stoll, Jacob Moon, Treasa Levasseur, Grit Laskin, NLX, Rob Szabo, Layah Jane, and Dala. Many more musicians showed up than could play. And people Frank had known from all parts of his life arrived from Calgary, Montreal and New York to be with him. They filled the dining room, with many standing against the walls. Frank was instructed by Newland to “sit and receive” — a hard task for a man so used to being on his feet, running around behind the scenes, directing events. He was used to creating something for others, to being the generous one. But he did as he was told. Rosemary Phelan also performed her song “Overwhelmed”. Photo by Sandy Stubbert. He sat with his wife and watched Phelan take the stage, admiring the full, rich curls that bounced from her head. The hair was symbolic and inspiring, he said. When he performed for her a year and a half earlier, the chemo had stripped her of all of it. Now her hair was thicker and healthier than before. As a gift to him, Phelan wrote a poem. The room was, in Newland’s words, “emotively silent” as she recited it. The poem thanked cancer for the lessons it had given her. She had written it for her friend and had meant it for everyone. That night no one knew Frank’s prognosis. He and his wife would receive test results the following week. Either way, he had a battle ahead of him. “I do believe when people flood you with such love and positivity that that’s a very healing thing,” Phelan said, herself an obvious example. And they truly flooded the room — with music and with hugs. Frank hugs everyone, almost without exception. On Monday, Frank and his wife received “good” news: his colon cancer had not spread to other major organs and will be operable. For more info, see his blog Cancer? My Arse!! Posted in UncategorizedTagged Andy Frank, cancer, Hugh’s Room stage, Janine Stoll, Rosemary PhelanBookmark the permalink.